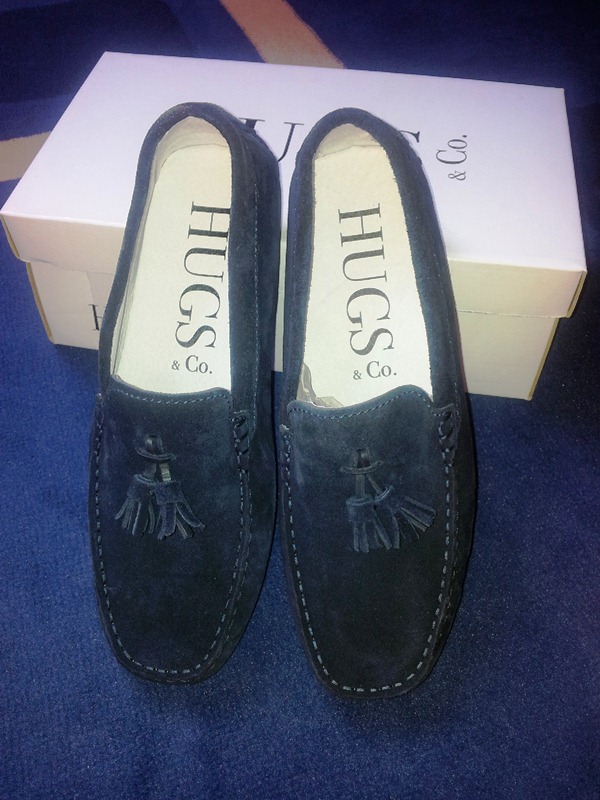 A few months back, a young Londoner emailed me introducing me to his new shoe company, Hugs & Co. He informed me that he had just graduated from University, had started his own line of moccasins and was interested in learning about the art of bespoke shoemaking. Impressed with his tenacity for getting involved within the shoe industry and needing a new pair of mocs, I asked him if he would be kind enough to sell me a pair so that I could feature them on the blog (and use for my next holiday). 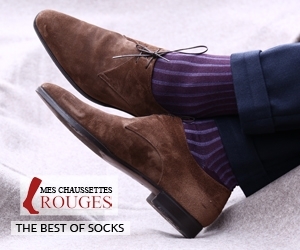 The great thing about them, is that they are only �50, which is precisely my type of price for a shoe like this. For those of you that read regularly, you know how much I hate the idea of having to pay upwards of �300 for a pair of dainty driving loafers. It’s just absurd, unless you are a multi-millionaire, which most of us unfortunately are not, not yet at least! Therefore, I thought it was a great idea and wanted to support it. While being still new, there are currently only 5 different options that you can purchase, but I am sure as the company grows the product selection will follow suit. 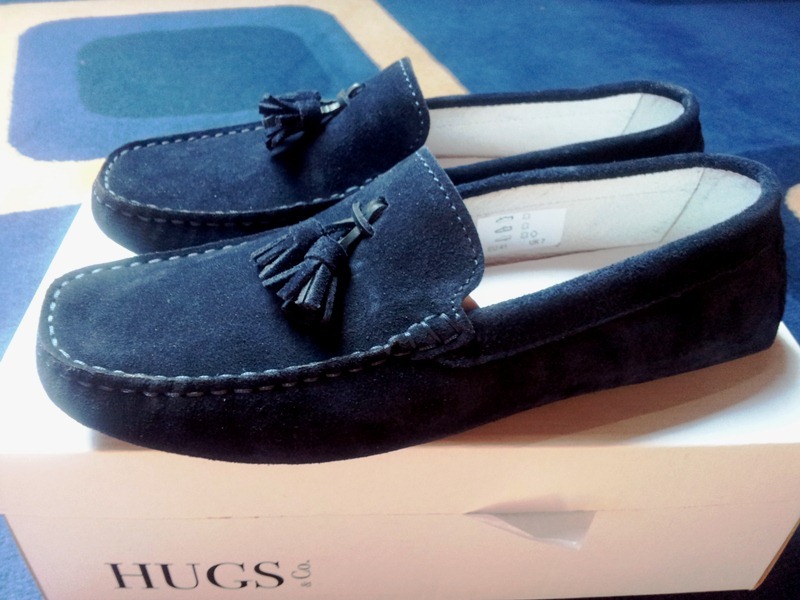 So if you are in need a good priced loafer, look no further than Hugs & Co.
Love the name (they should release a range of smurf colours), love the price. 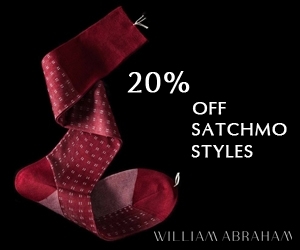 I’m glad that there are more options bridging the gap between plastic shoes and John Lobb. Exactly…they’re not made of plastic! No excuse for those other horrors! If I remember rightly, Septieme Largeur do a range like this in various garish colours for a reasonable price too. 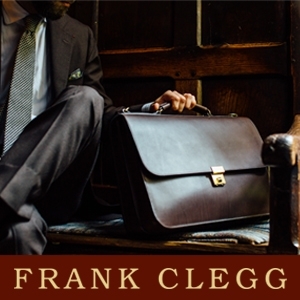 But not as cheap as �50 – well done, even if the name is a bit nancy. I’m liking the tassel drivers. Especially in black. 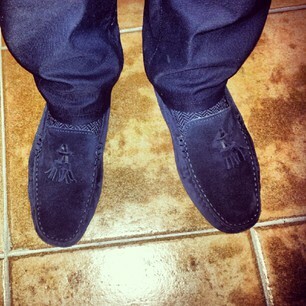 Thinking they could be good for dressing down a suit for after work drinkies!! Alex B – you would enjoy them…. Owen B – great shoe for after work drinks….only thing is that while they are indeed comfy, there is not much support for hours of drink standing….